It's been three days since I launched my site colintoh.com and it had already been a whirlwind for me since my demo - CSS3 Flip Switch got onto the front page of Hacker News. I will document the timeline of the past 3 days to the best of my ability in this blog post and hopefully inspire someone out there to get off the couch and create something. I intended to build a website where every post will be designed differently from one another. It will be my channel where I could express my "creativity" freely without the constraint of design documents and mental pressure from clients. I found kirbyCMS which is a file-based CMS. It's pretty simple to get started with and even with my rusty PHP, managed to customized it to my needs quickly. Every post can have their own CSS and templates by writing different PHP files and then just import each of them into their places. After hearing so much of GoDaddy horror stories and good karma stories of namecheap, i decided to go ahead with the latter. Perhaps it's all psychological but the purchasing process was breezy and non-pushy. Used my name as my domain name and it was abit cringe-worthy. I would like to go into details why the chinese surname doesn't seem like a good fit for a URL but I digress..
As for the hosting, it was a bit interesting. I decided to use phpFog because I had some brief experience with it. But something weird happened. I can't delete my files. This was especially crucial since I'm using a file-based CMS. After some fiddling and communication with the support, I decided to go look for alternatives. Came across this stackoverflow post and pagodabox seems promising. The deleting function worked so I just went ahead with pagodabox. The awesome-looking admin panel didn't hurt either. Before all this, I had already created CSS3 flip switch demo on jsfiddle. I showed some of my friends and they thought it was pretty neat. So it should make for a good first post since most of the work is done. Boy, was I wrong. Firstly, I had to spend time making it work on safari(I was testing on chrome previously) and also mobile safari to a certain success. I also have to make it responsive because it looked really hideous on my iPhone and it really irks me. Firefox didn't have CSS perspective support so I tried to make it look presentable in terms of styling. Demo post was up and the styling for the entire website is done. I did last-minute check on usabilty and speed before launching it live. Who can I show it to? Let me try twitter first! Tweeted a few people. No response. Ok... Plan B. Posted it on forrst and now I wait. Check my google analytics impatiently for 15 mins and the result was truly dismal. Worst of all, my bounce rate is almost 100%. That sinking feeling of failure was right in my stomach. Ok... Plan C. Posted it on Reddit's /r/web_design and submitted in Hacker News. Check and refreshed my post every few minutes, hoping to get a glimpse of a single upvote. But there was none. It was almost past half an hour and my analytics stayed silent. Not a single beep on the real-time chart. I decided to go have my dinner and spend some quality time with my loved ones. Halfway through dinner, I had a few email notifications that my forrst is gathering "likes". I felt slightly better but that didn't prevent me from concluding a failed start. It was around 7.52pm (yes, it was my virgin retweet) when my twitter app notified me that someone retweeted my post. Sweet. Hopefully things gets better from now. Then it began. Retweets started coming in and my follower count began to climb. I was estactic. Once I got home, I immediately went to check on my analytics and it was reflecting 2k+ unique page view. Checked on my forrst, reddit and lastly hacker news thread. And there it was, Front Page. My eyes scanning at the exact words that I typed: "CSS3 Flip Switch" with "colintoh.com" as the referring URL. It was kinda of a surreal moment. I have been checking out and obsessing a little with the stats while thinking of the next post. People of the interwebs seems to like CSS3 demos but it will be against the motive and spirit of this website if I were to continue trodding down this beaten path. If you have read to this point of the entry, I hope I have inspired you enough to do something. It isn't too difficult to start something and yes, it does take luck to get noticed but it's certainly better than dreaming of what could have been. This post aims to document the decisions faced when preparing and launching the website to the experience of hitting the front page of Hacker News. Somehow, this can served to be a igniting point for anyone to start something. 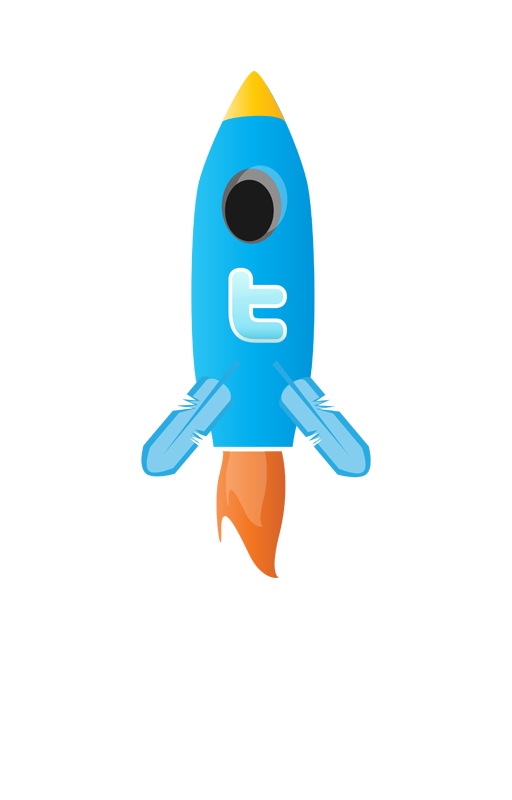 The rocket image is from Sneh Roy and the google fonts used was Asap.